The Gaylord Area Chamber of Commerce Good Morning Gaylord is a breakfast event. This event is held the 1st Friday every other month at 7:00 a.m. (unless notated by **). Each GMG will feature a speaker and a buffet breakfast. This event is a great opportunity to come to a high impact, high energy morning event. This program will leave you walking away with a wealth of knowledge to take back to your office! 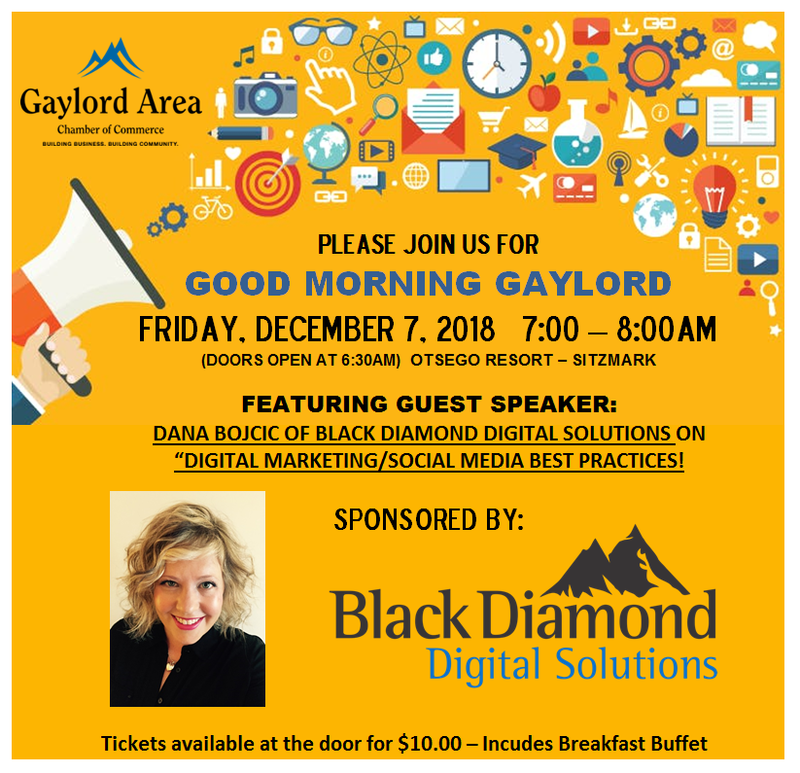 Register & purchase Good Morning Gaylord Tickets online here. 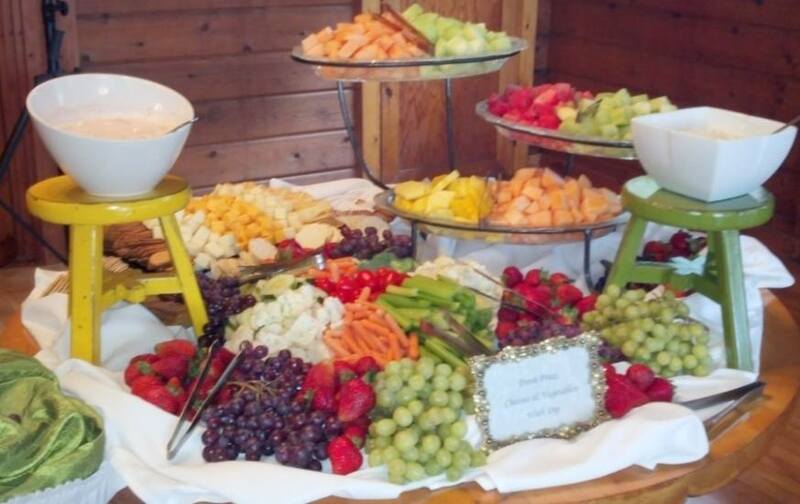 All Good Morning Gaylord events are held from 7:00-8:00 a.m.
February 2: Sponsored and hosted by Treetops Resort. April 20: Sponsored by Seniors Helping Seniors and hosted by Michaywe. Topic: "Team Building in the Workplace"- Jason Weiss, Gaylord Community Schools/Evergreen Home Realty. May 11: Sponsored by Awakon Federal Credit Union and hosted by The Otsego Club & Resort. June 8: Sponsored by Brandon Contreras, Berkshire Hathaway and hosted by the Otsego Grand Event Center. October 5: Sponsored by Dynamic Physical Therapy and hosted by The Otsego Club & Resort. Topic: "Cyber Security"- Marcus Wegmeyer, Michigan Insurance Services. December 7: Sponsored by Black Diamond Broadcasting and hosted by the Otsego Club & Resort.